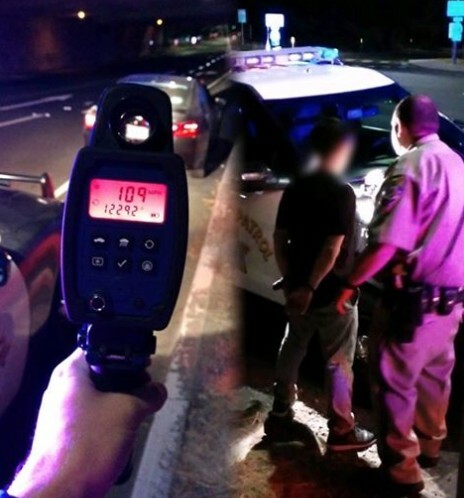 A man was arrested for DUI after the CHP caught him going 109-mph on Hwy.24 in Contra Costa County late last night. The suspect’s name wasn’t released. I hope he also got a charge of wreckless driving as well for going over 100mph. I don’t see where it says he had a wreck, so probably not. Thank goodness he was wreckless! Can you imagine the damage if he’d wrecked doing 109? He should also get charged for reckless driving because he was well over the 30 miles an hour above the speed limit. What the hell?! Thank God he didn’t kill anyone. 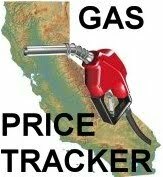 Great job CHP! At that point, you know you’re going to jail. Might as well have asked for a selfie with the radar gun! That would have been a keeper. Wow! Thank God he didn’t kill anyone. Could’ve been a statistic just like the two this past weekend. No, those are called people. And they had names. Trying to get home quick before he gets caught. Makes sense. Glad they caught him before he killed someone. Drunk +109 MPH=Throw the book at him. Of course,after losing his license,he’ll still be driving. Gotta have your head on a swivel if you expect to survive on the Bay Area freeways. Too many people think all there is to know about driving is gas, brakes and steering. For instance one of the letters among a bunch of letters and numbers indicates the highest speed your tire is rated. Last time I checked it mine was a Q indicating 99 MPH was the maximum speed that tire is rated to do safely. Go over that speed and the tire could fail; i.e. fall apart. There is also the suspension, steering components, road conditions. driver training, etc. The kid is lucky to be alive. The tires on my Corvette are rated ZR which means they are rated for speeds above 189 mph, which is ridiculous because even though the car can go faster doesn’t mean I intend to drive it that fast. When I had to buy new tires for the car I found out the law required the ZR rating and they couldn’t legally install a lower rated tire. Perhaps we could get a professional race car driver or Hollywood stunt co-coordinator to write an essay for young drivers to read before they drive. It would inform them of the extra safety equipment in their cars and the excruciating planning that takes place before a car chase is filmed. If I could I’d produce it as a movie to hold their attention. You think you’re immune to prosecution guiding your little toy ZIP HEAD !! I’ve driven faster on the freeway. I’ve seen quite a few people where DUI arrest didn’t pan out to anything more than a fine with no jail time or even suspension of DL.. Most walk within an hour even in the middle of the night, but some do get the book thrown at em, but only a 3rd time or more offender and sometimes not even then. I know one person that’s had 4 DUI arrests, ankle monitor and a breath analyzer hooked to ignition yet still driving never once having DL yanked or ANY jail time. The DUI arrest doesn’t mean a Dang thing half the time. It will mean a lot to his insurance company. Alot. hang your head in shame boy!!! Wow – that radar gun tagged that speeder at 12,292 feet out. That’s over two miles! That’s Lidar way more accurate then radar I believe. He should also play the lottery as it is his lucky day. I’ve driven faster than 100 on the freeway many times…..of course my vehicle was painted black and white. I think the point here is “wreckless” vs “reckless”…. as in complete disregard for safety or as in did not actually wreck the vehicle (crash). If you wreck it, it’s not wreckless! I’d have to be under the influence to drive that fast. Coming out of the tunnel heading east is into Orinda is quite a down slope. I’ve caught myself doing 90 and was in no hurry. So 109 drunk is easy to imagine,not safe, but easy to see he could go that fast w/o knowing. He should be taken off the streets for DUI alone. I just read a story about a guy in North Carolina who took a video of himself driving his Hellcat Challenger at 198 mph. He probably would have gotten away with it, except he then posted the video on Youtube and someone alerted the cops. Well, there you go! Kudos to the people who got him of the streets a while… hopefully. Next post: The Water Cooler – Going Back to School Before or After Labor Day?